A simple and easy taco seasoning that beats any storebought packet you can get your hands on. 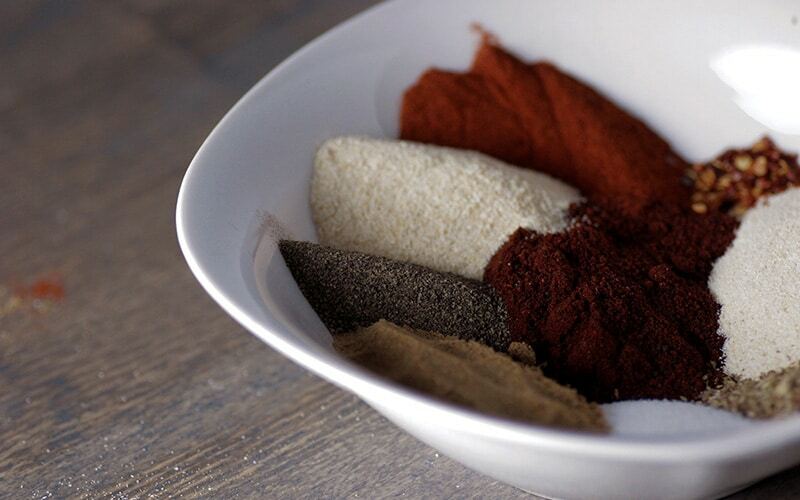 This DIY Taco Seasoning is the perfect taco fix. Taco Tuesday has become a tradition in my house. And therefore taco seasoning is a staple. While I don't use it every taco Tuesday. I can say that MOST Tuesday's come with a sprinkle of taco seasoning. After constantly buying taco seasoning packets and one day running out I have pause and realized that I could probably create my own seasoning and not be required to have to make a store run if I am missing one of those packets. This recipe has a little kick. Not much, but a little which is way better than the store bought ones. If you prefer to go mild you can leave out the red pepper and it would be just as good. I don't eat really spicy food though, so the fact that I can handle it is an indication of it not being that hot. With this recipe, you mix it up, jar it up, and set it aside for when you are ready for it. It'll last you through at least a month of taco Tuesday's. And the best part is that it's made with stuff you probably already have in your kitchen! How to make your own taco seasoning? It's so easy! You just combine all of the above. And BAM! You are ready to go! Like a traditional taco seasoning packet, you add water and let the meat simmer and majically you have taco meat. Just. Like. That! What can you use this taco seasoning on? I use it on ground turkey and even chicken. If you are a beef eater, ground beef would be delicious too! Alright so if you're ready to whip up your own taco seasoning, here's how to do it, and use it! To use: Cook ground meat.When cooked through, add 3 tbsp of seasoning and ⅔ cup of water and simmer until thoroughly combined.Everytime you use it, shake the jar to blend the seasonings together well. PIN THIS DIY TACO SEASONING MIX FOR USE ON YOUR TACO CREATIONS LATER! When cooked through, add 3 tbsp of seasoning and ⅔ cup of water and simmer until thoroughly combined.